Big bucks are falling in Wisconsin and we’ve got another monster added to the MorningMoss big buck contest! Paul Vogelman shot this huge 14 point buck in Waupaca county on opening weekend of the Wisconsin archery season. The buck scored 191 inches and has some incredible mass. Congratulations to Paul on an awesome buck. We want to see your big buck photos and see you enter for a chance to win some great prizes. 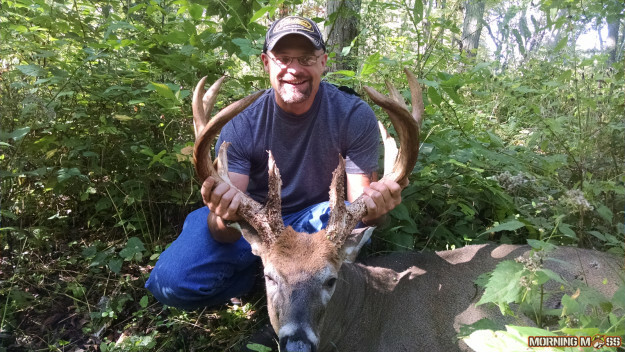 Send your buck photos to us on our submission page and enter the big buck contest.